Monster Hunter: World, the first title in the fourteen year old series to launch in all regions at the same time, has sold five million copies in the span of three days. The game features a variety of gameplay changes that make it more accessible, such as seamless area transitions, the ability to join an online session mid-quest, and refined controls. The game has attracted many newcomers while still retaining veterans of the series. Monster Hunter: World has been getting rave reviews, and currently sits at a 91 on aggregate review site Metacritic. Capcom plans on maintaining this success through post-release content featuring new monsters, quests, and characters. Along with a release on PC later this year, crossover characters Ryu and Sakura from the popular Street Fighter franchise will be joining the hunt in the form of two armor sets that reskin your character. Capcom will also be holding the Monster Hunter: World Kariou Playoffs in Japan during the Spring of 2018. The tournament will determine who is the most skilled hunter in the country. 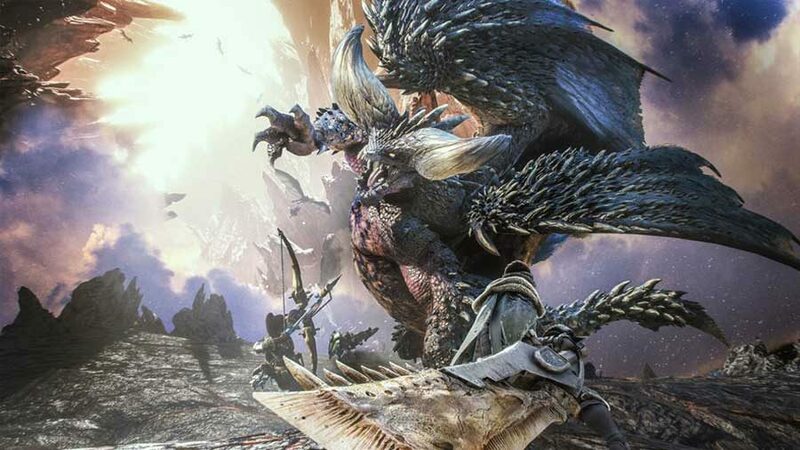 With the talks of a rumored Monster Hunter movie by Paul W.S Anderson, director of the Resident Evil movie franchise, Capcom is looking to make Monster Hunter more recognizable outside of Japan in order to capitalize on the success of Monster Hunter: World.